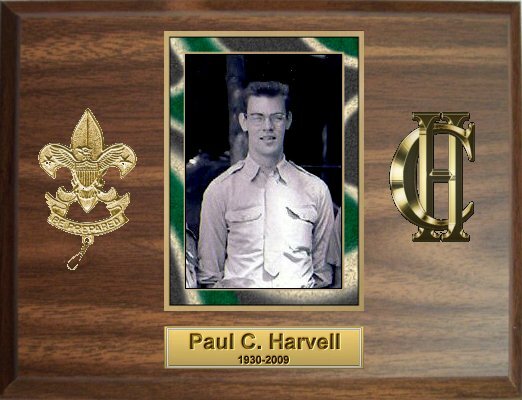 Paul was the Scoutmaster of the provisional Camp Byrd from 1955 through 1958. The tallest member of the staff by at least six inches, Paul was fondly known by campers and staff as "Uncle Highpockets." An experienced camper as well as a lifelong educator, Paul taught me about climbing Mount Washington when he and I led a contingent from Camp Hinds up the mountain in 1958. 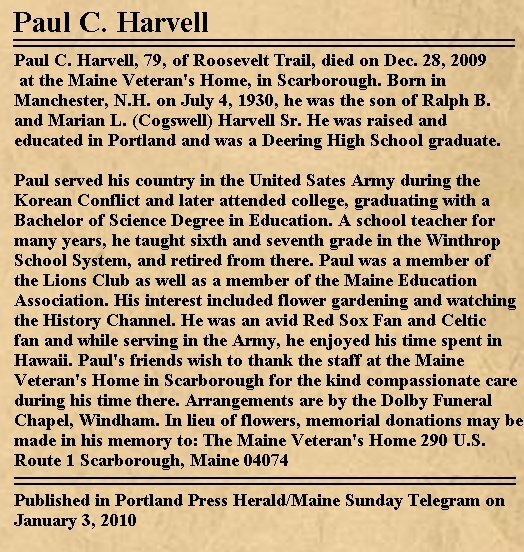 Paul loved to give the daily weather report to the camp in the dining hall at breakfast, using a real Downeast accent, emphasizing the fact that "occasional thumpers" were expected in the aftrenoon. Comments and pictures from friends and relatives for this page will be welcomed.